This is one of the most popular places in St James. 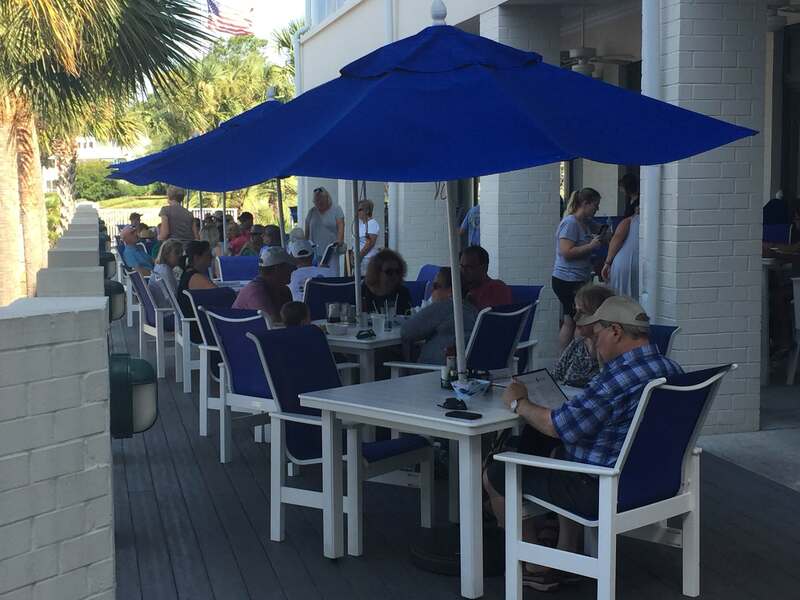 A fun place to eat overlooking our marina. They even have music and dancing on the deck on Monday evenings. The food is good and the company is great. St.James residents do not have to go hungry, or even far to grab a bite to eat! Executive Chef, Randy Tugwell always makes excellent meals whether it be casual dining, gourmet meals, or even “theme” nights. There is always something going on inside St.James Plantation in Southport, NC. I would love to show off the restaurant and the area for you! Give us a call today!